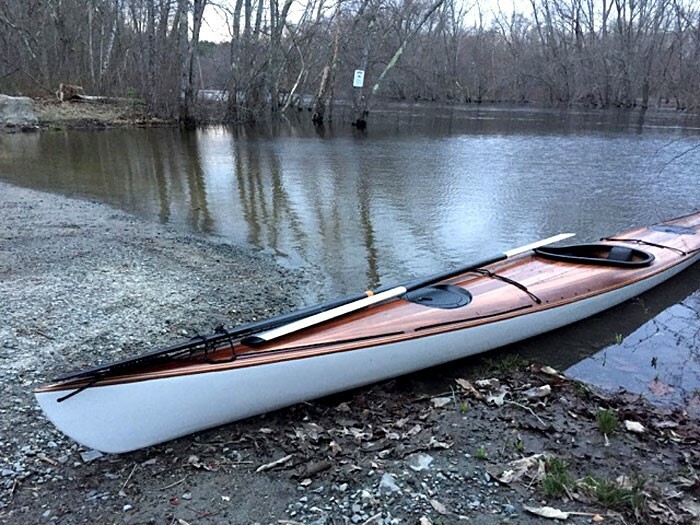 BTD Frej, Maiden voyage on the Assabet river, Concord MA. It was a blustery afternoon with max gusts up to 48 kph and bucking a 2.5 kph spring flood current, yet she slipped easily and silently up river at 5.5 kph. The ride back down was thrilling! ps. 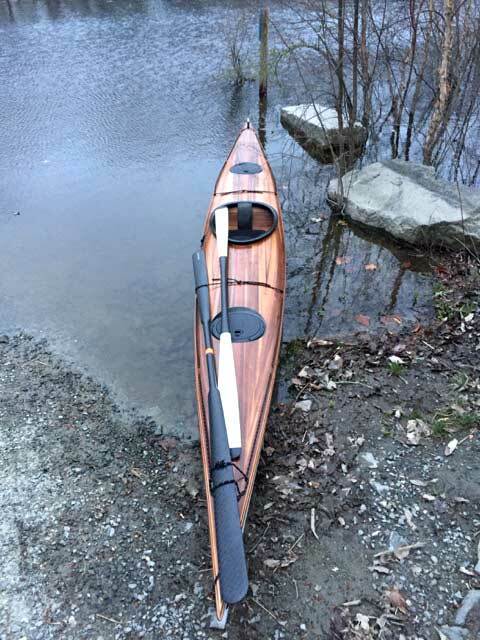 The new shoulderless Gearlab paddle is fantastic! For those who are interested, the deck and hull are 3/16" (4.8 mm) western red cedar. The cockpit coaming is laminated plywood that was fiberglassed and painted black. The deck fittings are 3D-printed "Moroske" tube fittings. For control it has a KajakSport adjustable skeg. The hatches are DIP Pull-Up deck plates in carbon fiber recesses. 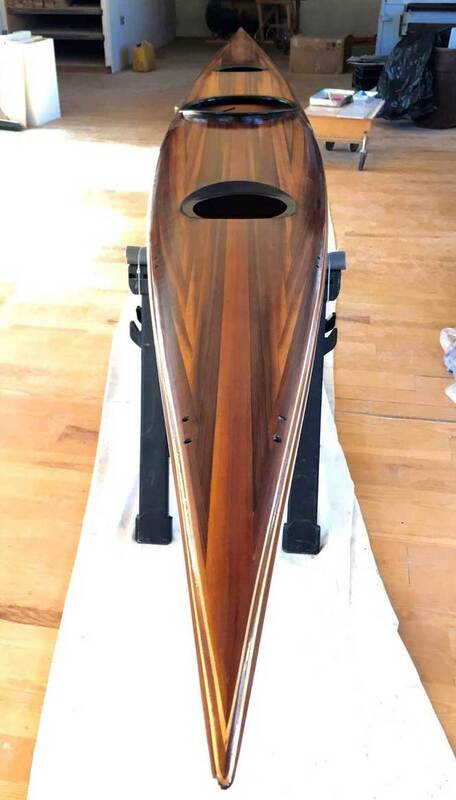 The deck was varnished and the hull was coated with Interlux VC Performance Epoxy.